VE522600 Ignition Lead Set fits AUDI VE522600 Ignition Lead Set fits AUDI. NOTE1 : Part Number - VE522600. > Ignition Coils & Modules. > Ignition Leads. > Air Mass Sensors. The range includes > ABS Sensors. Cross ReferenceZEF404,XC939,DRL331,409 44 5131,73502,ABS10,ABS7,ABS8,ABU10,ABU7,ABU8,ABU87,DKC108,LDRL1694,RC-AD212. Each unit undergo's strict testing to ensure parts are of OE specification at our in-house facility. Ignition Leads. Number of Leads. Applicable Law. Data Protection. 8.2 Nothing in these conditions excludes or limits the liability of the Supplier for death or personal injury caused by the Suppliers negligence or fraudulent misrepresentation. Then at our discretion we will decide the next course of action. chassis number (VIN) and we will confirm the correct part required. Be aware that each model of vehicle may have a choice of few different part options. This is an original quality part manufactured by Lucas. Multiple choices exist for:AUDI COUPE 1.9 Ignition Leads Kit. FOR AUDI COUPE 81. Ignition Coil:Connector Type DIN,Resistive Ignition Cable. PART CHOICE ALERT. HT Leads Ignition Cables Set VE522060 Cambiare. Part Number VE522060. BENTLEY 035998031. High Volt OEF260. AUDI COUPE (81, 85) 1.9 Coupe Petrol 08/1980 07/1983 FWD 10 115 85. AUDI 200 Avant (44, 44Q) 2.1 Turbo quattro Estate Petrol 09/1983 08/1984 AWD 10 182 134. VE522047 Ignition Leads (OE Copper) fits AUDI VW VE522047 Ignition Leads (OE Copper) fits AUDI VW. NOTE1 : Part Number - VE522047. > Ignition Leads. > Ignition Coils & Modules. All parts are either OE or BER compliant. Distributors and Independent Repairers alike recognise this pedigree. Each unit undergo's strict testing to ensure parts are of OE specification at our in-house facility. Ignition cableCoupling Type M4, Copper Ignition Cable. Each unit undergo's strict testing to ensure parts are of OE specification at our in-house facility. Heavy Duty. NotesConnector Type SAE, Connector Type M4, Resistive Ignition Cable, Connector Type DIN, Connector Type DIN, with adapter. 2 Years No Quibble Warranty. This product carries full 2 years No Quibble Warranty. Belt Tensioner Wheels & Bkts. Suspension Ball Joints. Brake Callipers. Brake Discs. Brake Master Cylinders. Ignition Cable: Copper Ignition Cable. Each unit undergo's strict testing to ensure parts are of OE specification at our in-house facility. The product is extensively tested. Heavy Duty. NotesConnector Type SAE, Connector Type M4, Resistive Ignition Cable, Connector Type DIN, Connector Type DIN, with adapter. HT Leads Ignition Cables Set VE522047 Cambiare. Part Number VE522047. BENTLEY 437998031B. High Volt OEF039. VW PASSAT Saloon (32B) 2.0 Saloon Petrol 08/1984 07/1985 FWD 10 116 85. 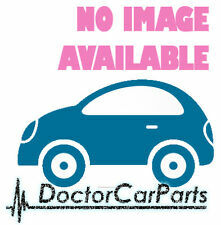 VW PASSAT (32B) 2.2 Hatchback Petrol 08/1985 03/1988 FWD 10 115 85. IN DOUBT WHETHER IT WILL FIT?. If the item is used, we are unable to accept the goods back. AND WE WILL DIRECT. YOU TO CORRECT PARTS! We always will do the best for both sides to be happy! Cambiare Ignition HT Lead Set. AUDI 200 C2 10/ 1979 - 9/ 1982 Petrol: 2.1, 2.1 5T. AUDI 200 C3 6/ 1983 - 12/ 1991 Petrol: 2.1. AUDI 80 Quattro B2 8/ 1978 - 12/ 1986 Petrol: 2.1. AUDI 80 B2 8/ 1978 - 12/ 1986 Petrol: 1.9, 2.0. KERR NELSON: OEF260, BBT: ZK311, MOTAQUIP: LDRL1090, OSSCA: 98, QUINTON HAZELL: XC1060, SMPE: 73501, OEK156, OES228, VAG: 035 998 031. Kerr Nelson Ignition Cable Lead Set. Ignition Cable: Copper Ignition Cable. Ignition Leads are often known as HT leads, or Ignition Cables. Cable Type: Copper Core Cable. Cable Length(s) (mm): 380 / 450 / 590 / 640 / 710 / 320. Quantity Included: 1 Kit. We apologise in advance for any inconvenience caused. KERR NELSON: OEK156, BBT: ZK311, MOTAQUIP: LDRL1090, OSSCA: 98, QUINTON HAZELL: XC1060, SMPE: 73501, OEF260, OES228, VAG: 035 998 031. Kerr Nelson Ignition Cable Lead Set. Ignition Cable: Copper Ignition Cable. Ignition lead Set for Vans up to >84 with a 1.9 waterboxer engine. These leads are the 'Non Pin Type'. Equivalent to part number: 905QHT038. We just want you and your car to be happy! We will always attempt to rectify the issue as fast as possible! Ignition Leads are often known as HT leads, or Ignition Cables. 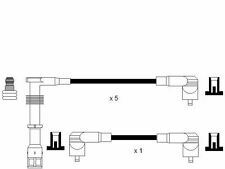 Cable Length (mm): 380 / 480 / 580 / 680. Quantity Included: 1 - Kit. We apologise in advance for any inconvenience caused. KERR NELSON: OEK756. Kerr Nelson Ignition Cable Lead Set. Ignition Cable: Resistive Ignition Cable. Ignition Cable: Connector Type SAE. Ignition Cable: Connector Type M4. Ignition Coil: Connector Type DIN. Clutch Friction. Copper Ignition Cable. New Vauxhall Corsa 1.2 Hatchback Z12XE Z12XEP 03-06 Centre Exhaust Pipe - GM462X.GBP 37.25 View Item. Ignition Cable. Ignition Coil. Mazda MX5 1.6 1.8 16V Cabriolet 00-05 Exhaust Centre Silencer Middle Pipe MA345P.GBP 39.45 View Item. VW Passat, 2.0, 5cyl, 08/84>88 (32B). VW Passat, 2.2, 5cyl, 85>88 (32B). FORMULA POWER 10mm RACE PERFORMANCE LEADS. Coupe, 2.0, 2.2 inj, 5 Cylinder, 84>88 (81,85). Audi 90, 2.0, 2.2 inj, 5 Cylinder 84>87 (81,85, B2). Bosch Short Code: B355. Model: Scirocco Mk2. Part Type: Ht Ignition Cable. Product Group: PETROL - HT LEADS - COPPER SETS. Power (kW): 82. Model Type: . Warranty Period: Manufacturer Warranty if applicable - See Bosch website for more details. VW 171 998 031 B 171998031B 321 998 031 321 998 031 A 321998031 321998031A 431 998 031 A 431998031A. HT Leads Ignition Cables Set 0986356355 Bosch. Part Number 0986356355. BOSCH B355. Function Ignition Cable Kit.